Elizabeth Andoh’s school, Taste of Culture, is a wonder school in Tokyo for learning about Japanese cuisine and food culture. 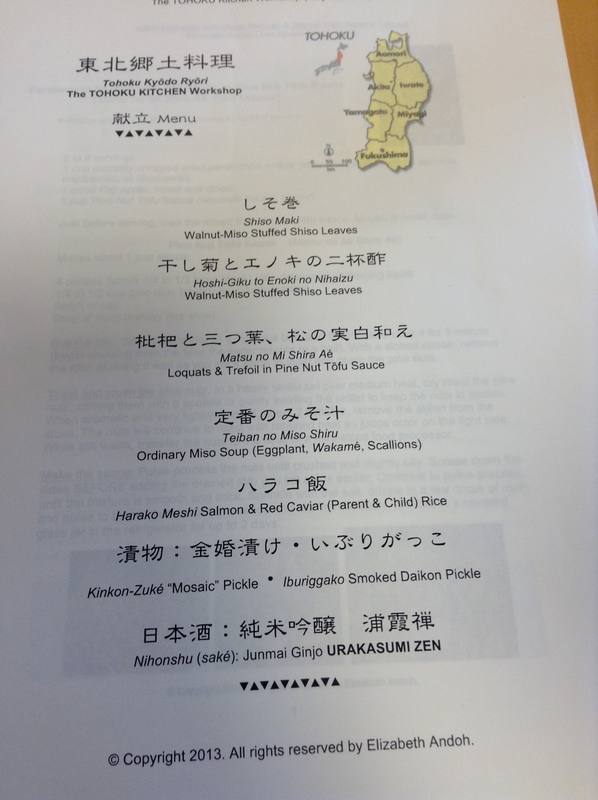 This class was on the cuisine of Tohoku. My mother is from Yamagata and I still have family there. It is always so impressive to see that the cuisine is so rich in Japan as there are always new ingredients and dishes to study. The Tohoku region has been affected by the events of March 11th, and Elizabeth’s e-cookbook, Kibō, introduces many recipes from Tohoku. 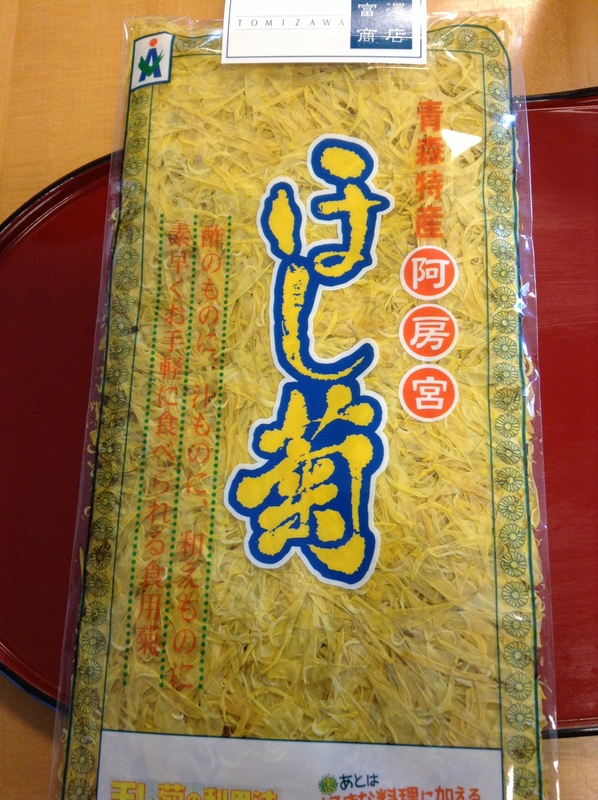 Hoshigiku, dried chrysanthemum petals, are a sheet of flower petals, almost like nori. We actually use this in our home when we make pressed sushi with unagi. In this class we used it with enoki mushrooms in a vinegar dressing. The hoshigiku here comes from Aomori prefecture, on the northernmost tip of Honshu, Japan’s main island. 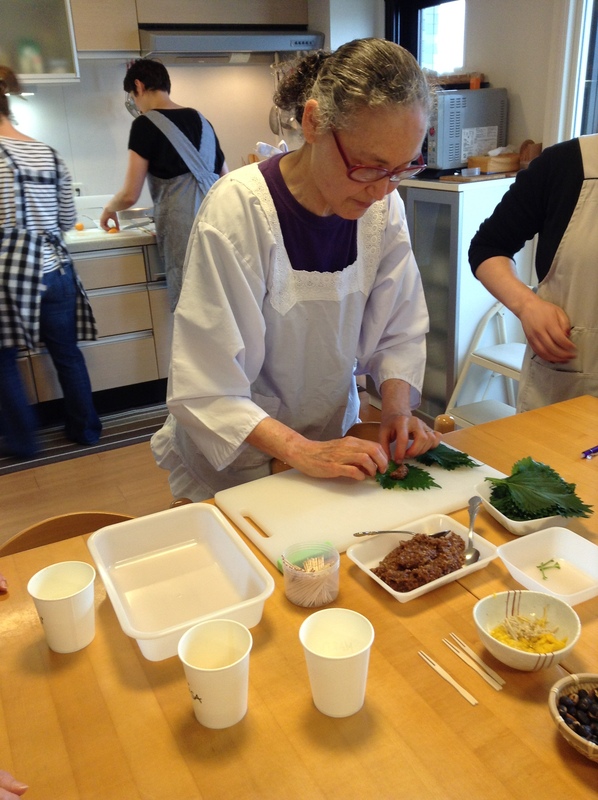 Elizabeth is demonstrating how to roll a sweet miso paste into fresh shiso leaves that will later be skewered and then pan fried. This is a dish I came to know visiting family in Yamagata. The pickles in Tohoku are some of my favorite, perhaps because they are so familiar. 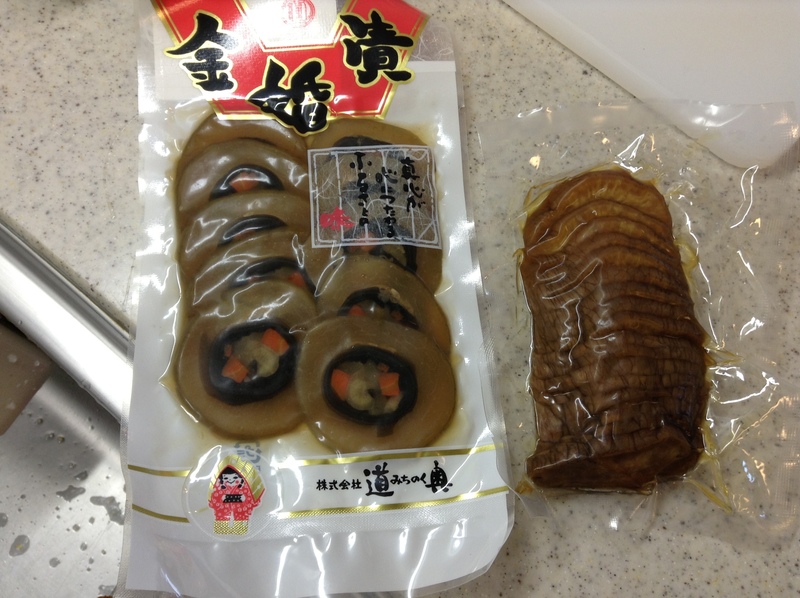 The packet on the left are Kinkon-zuké and on the right is iburigako. 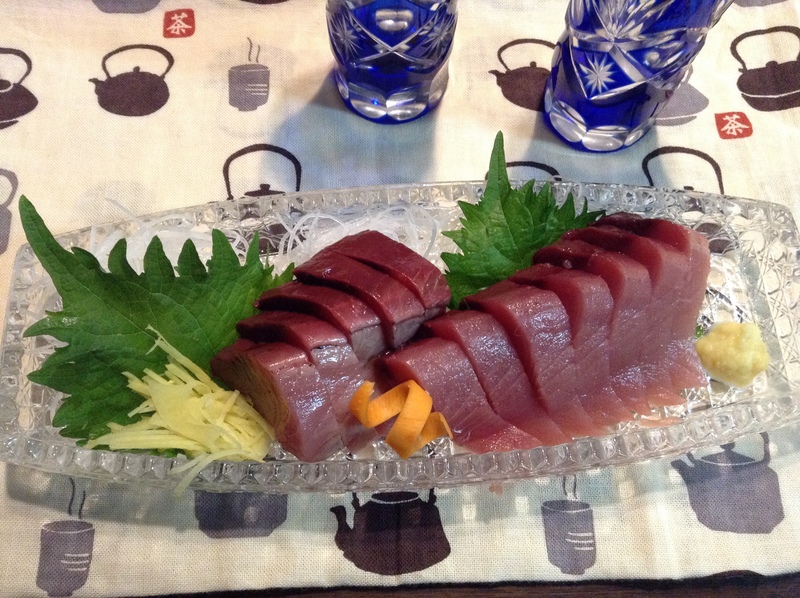 Iburigakko is somewhat similar to takuan, pickled daikon, except that this has been smoked. It has a very unique flavor with the smoking of the daikon. We eat this at home, often sliced thin and with some cream cheese sandwiched in between. Here are all of the dishes that we as a group made. 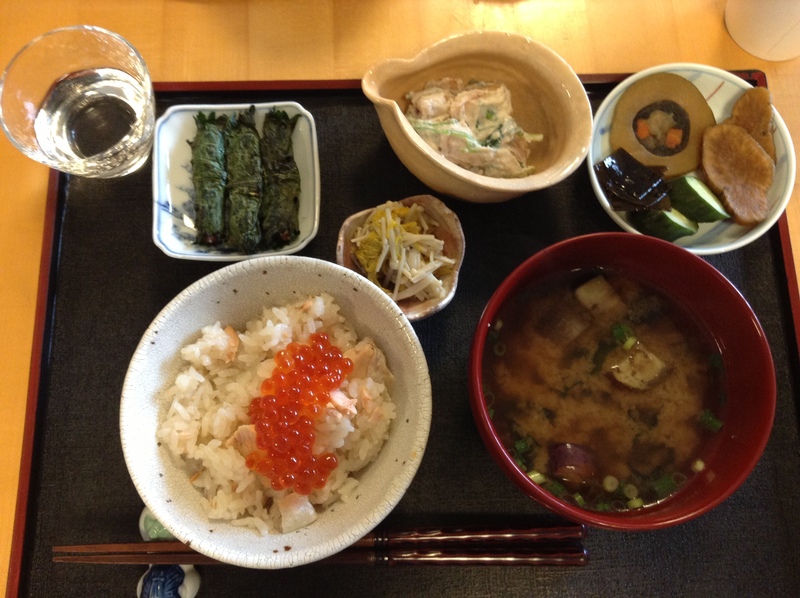 A taste of the local dishes of Tohoku. I highly recommend taking a class with Elizabeth if you are visiting Tokyo, better yet if you live here. I have taken many classes throughout the year, and continue to learn from her. 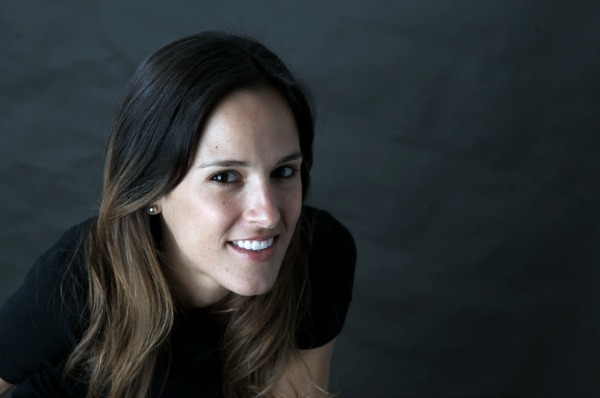 She is very generous with her knowledge and she is great at empowering students to take what they learn home so that the dishes continue to live. 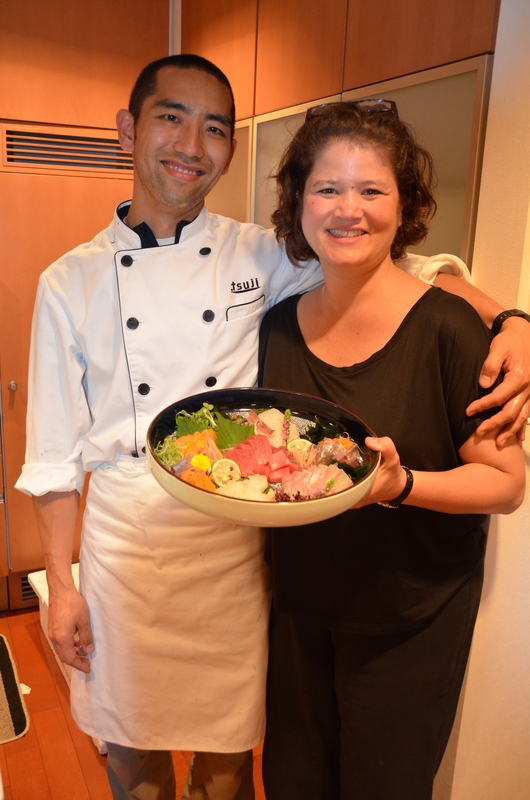 Elizabeth also offers 3-day intensive workshops if you really want to immerse yourself in Japanese cuisine. I have spoken with friends who have taken the class and they speak very highly of the program.